Spring cleaning is in full effect. 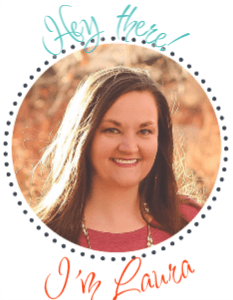 Check out these easy tips and quick printable to make your spring cleaning a breeze! Disclosure: This post is sponsored by The Libman Company but the content and opinions expressed here are my own. Spring is here and with that, comes the need to purge the house and reorganize with a good deep cleaning. I usually spend some time each weekend from now until June really getting deep down into various rooms in our home. I always start with the kitchen during spring cleaning as it is the center of our home. We have a large eat in kitchen with natural stone tile and so much counter space. I love the size and layout of my kitchen, I dislike the countertops, backsplash (or lack of) and the flat white paint. Someday I will redo the kitchen, but for now, it is just time for a good spring cleaning! In the kitchen there are several areas that I tend to neglect. Prior to being a mom, I would clean these every single time the kitchen was cleaned. Now, I just gloss over them until it is time to tackle the nitty gritty. From backsplashes, to countertop clutter, cupboards and more, spring cleaning in the kitchen is a day long event. Kitchens are notoriously greasy. If you use them, you will have grease and if you and your husband share the space, there will be even more grease. Ok, maybe not, but in our home, it definitely correlates. Invest in a good degreaser that is non-toxic. It makes the cleaning process go by quicker. Also grab some gloves and a good scrubbing sponge from Libman. I went through and used the degreaser on our small backsplash area, all the countertop decor and so much more. Everything shined up so nicely and looks really great. 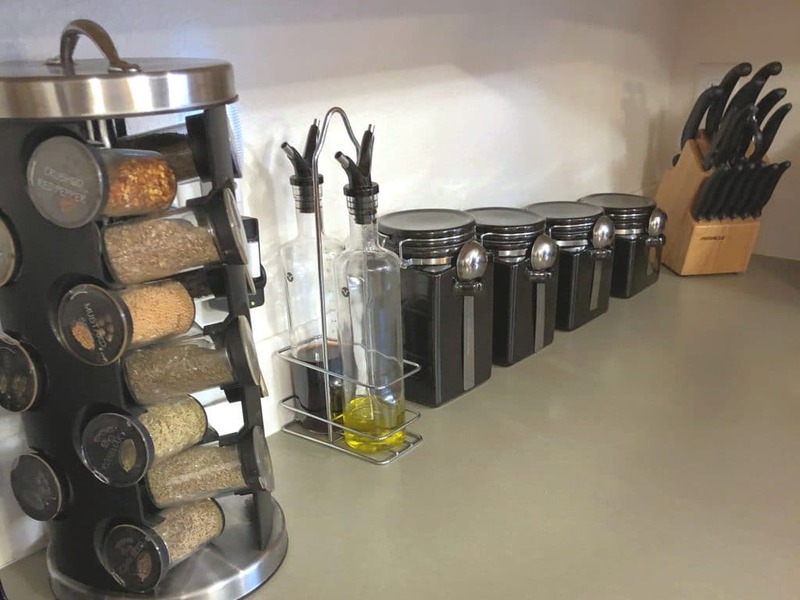 I also used it on my cupboards and pantry door and they look nearly brand new. What is spring cleaning without a serious look into your cupboards. 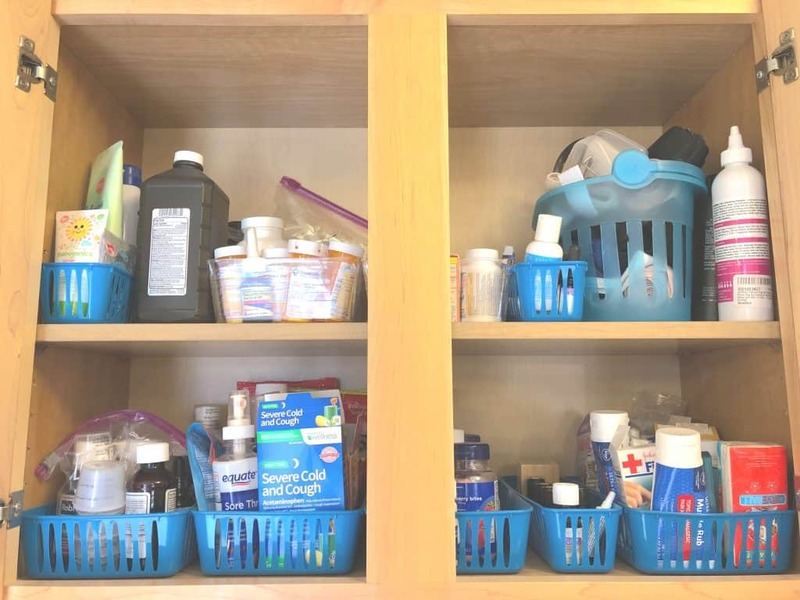 We did the whole Marie Kondo method months ago, but definitely needed to go through our upper cabinets and more specifically our medicine cabinets to get rid of the items that we no longer needed or that were expired. I also took the time to go through and wipe out every single cabinet in the kitchen and clean the space above the cabinets as well. It was refreshing to get all that dust and dirt out. 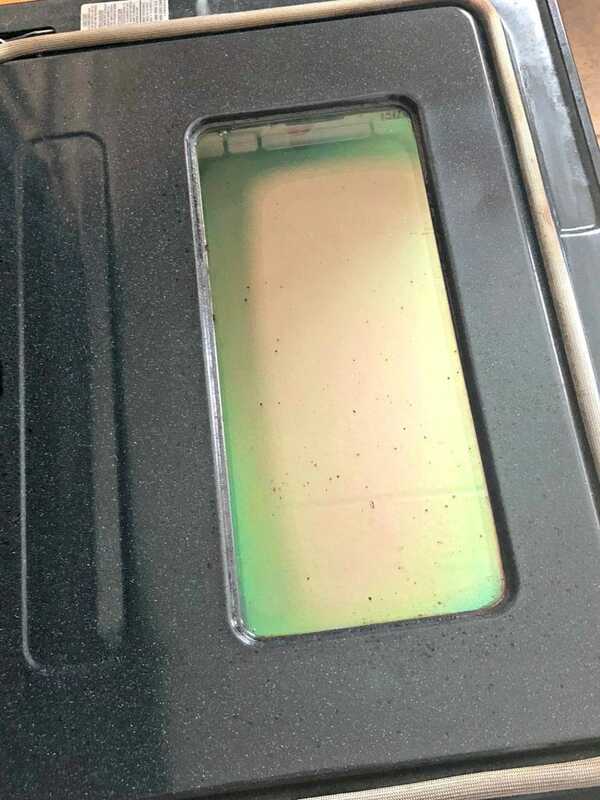 Oh and pro-tip, place newspaper atop your cabinets to collect that dirt, dust and debris. It is easy to remove and makes cleaning a snap! Let’s face it, we are tough on furniture. Tables and chairs take a beating and we need them to last. When I am spring cleaning, I always make sure to clean our table and chairs from top to bottom using a quality Libman cleaning cloth. I then use a good polish to add the moisture and shine that the wood needs. Admittedly, I am the WORST at taking care of our tile floors. They are natural stone tile and unfortunately our house does not have the support beams necessary to hold the tile in place. We have had a lot of issues with it and I honestly cannot wait to rip it out someday. However, until then, I am doing my best to make sure that they are taken care of. 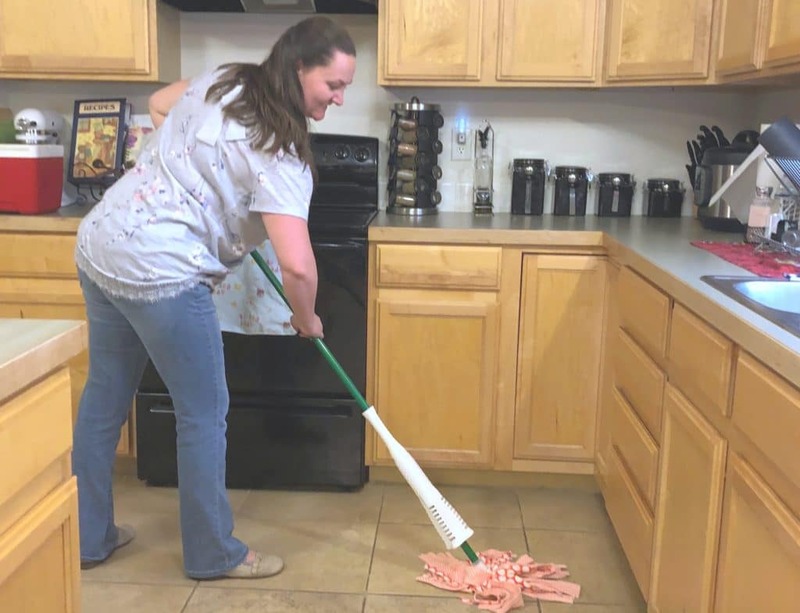 When the spring cleaning bug happens, I always grab a new head for my Libman Wonder Mop and get to work on the floors. I love this mop because it is very absorbent but also has microfiber GRIPSTRIPS that lift up to 20% more dirt leaving my floors cleaner. It is easy to rinse and with the power wringer it makes cleaning my floors super fast and simple with a quick drying time. I usually go section by section and really scrub into the tile and grout at every single angle. 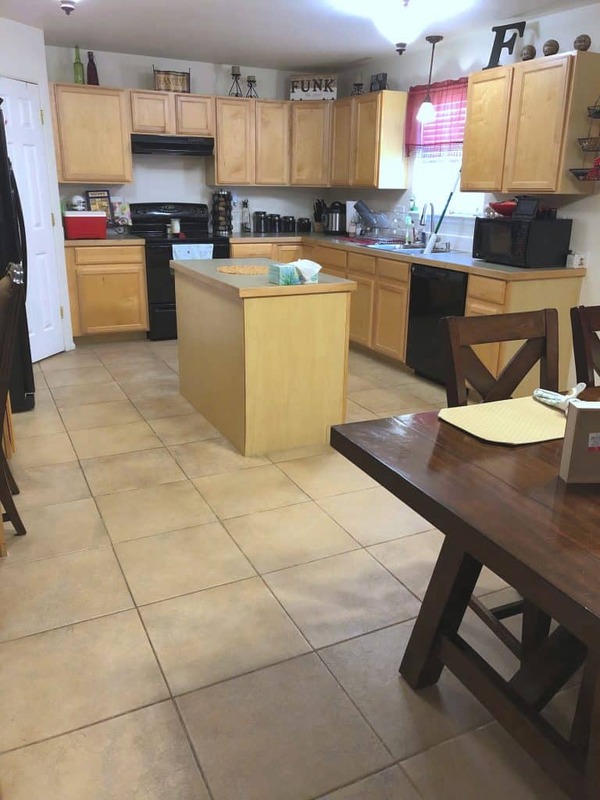 I have a large kitchen area and it takes a good chunk of time to get into those cracks and crevices but it is so worth it when the floor is shining and the grout is clean. One part of spring cleaning that I always do is a good deep clean on the appliances. I take everything out of the fridge and freezers and wipe them down, I scrub the oven, dishwasher and microwave and really make sure that everything is in good clean working order. 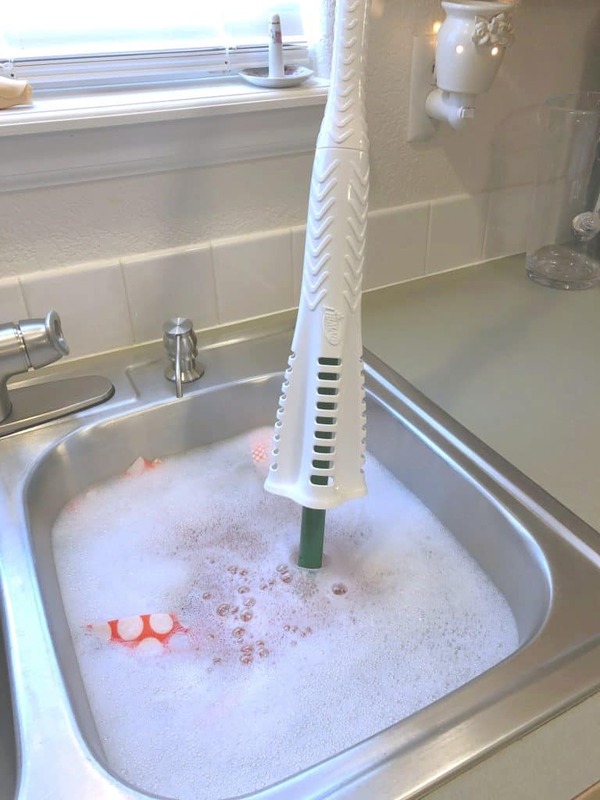 When I scrub the appliances, I make sure that I have all the tools needed to get the job done. From multi surface cleaners, to sponges and scrubbers, having the right tools makes the job much easier. 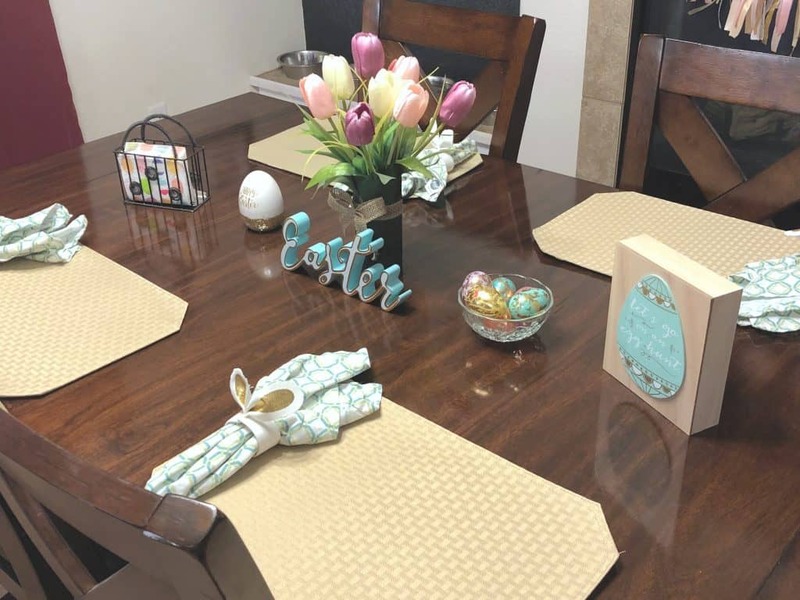 To make spring cleaning easier on you, I made a quick and easy checklist for you to use to make those kitchens shine as you are getting deep into the dirt and grime that the winter months accumulated. 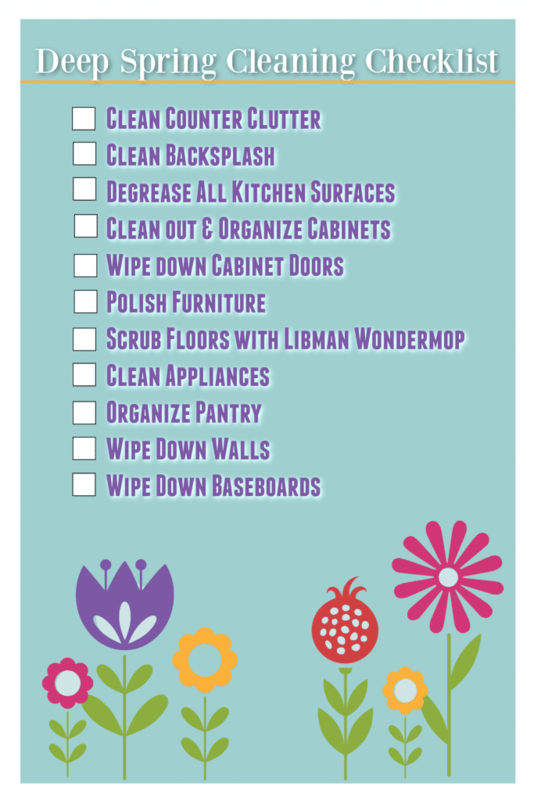 Make sure to print this deep spring cleaning checklist. What are you waiting for? Grab your Libman products and tackle that dirt!